Absorbing the heat and stress normally levied on the hands when cabinet scraping, this scraper holder made in glass reinforced nylon with brass fittings will take traditional cabinet scrapers 140 to 150mm long. The blade can be given an appropriate bow using the central screw adjuster. Work traditionally without the pain! 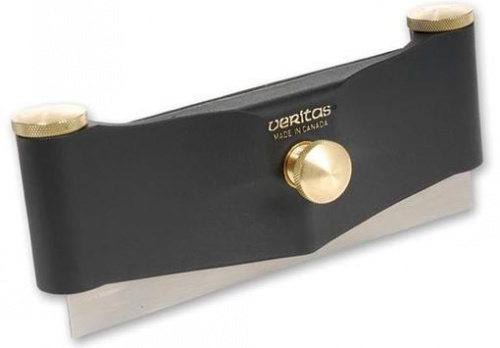 Includes a Veritas milled edge scraper.